Great game. Its the only one of the five that I cared to finish. The other games were good but this one held my interest. If we get to vote on which one we like best this one has my vote. My favorite from the batch of prototypes. Looked gorgeous and had some amazing design. Great job Black Lake crew! 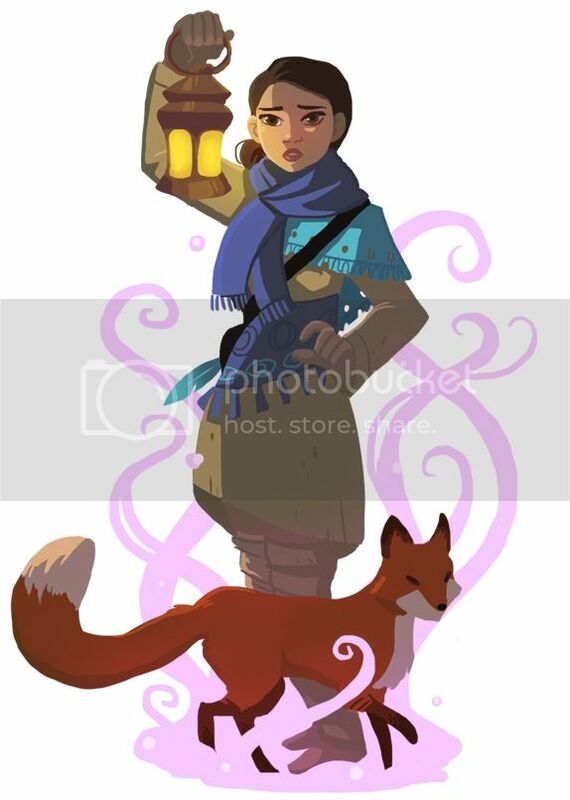 PS, would not complain if this was the next double fine game. I saw someone else post some fan art in this thread- so hopefully that's okay?? I've totally been doing little doodles based on a lot of the prototypes for fun between working on projects. Here's one of the Black Lake ones! Without the background, because I ended up not liking it. I have to admit, I was intrigued with Black Lake from the pitch videos, but it wasn't at the top of my list. However, after seeing more art/ideas/more of the game in general on the stream, it's totally the one that I'm most excited for! I'm really looking forward to it. Just wanted to quote this again, and to mention how much I was reminded of Disney's Mulan (which I love). Beautiful art, Conrad. Just wanted to say, I loved the Black Lake prototype. For me it was the stand out game by a long way. Just tried the prototype and I really liked it, great intro, great mood and great work! It was one of the games I voted for, so I'm really glad a demo was made for it. I was a bit surprised by how the UI worked when using the mouse, but I have to say it grew into me after a bit of getting used to it. This game is the best of the AF!!! I NEED it to have a deep and dense plot! This was definitely my favourite prototype. So much about it that I thought was excellent! Visuals were great, audio was great, I enjoyed exploring the world, the game mechanics all worked really well together. The way the art/world reacted to the lantern on/off mechanic. The storybook / fable type feel to it all. The narrative itself. Was all just spot on. The only one thing for me was that I didn't read the instructions beforehand and didn't realise you could camp at the last clue as a way of backtracking if you got lost. But, as you were put back at the last clue when you die (thank you for doing that! ), it didn't take me long to pick up the trail again and finish the demo. Having said that, I didn't mind being lost! So much pretty stuff to look at. I especially appreciated that the little waterfall actually made a waterfall noise. Attention to detail! Really hoping this is the one that comes out on top, as I'd definitely play through this one.